Description: India Sommers once had the perfect family—until an ex-boyfriend broke in and shot her husband. Not only did that cost her the man she loved, a respected heart surgeon and the father of her child, but she also feels responsible. Charlie died because of the people she hung out with before she had the strength to change her life. My take: Discovering You is the newest book in the Whiskey Creek series. It features one of the younger Amos brothers, Rod and a newcomer to town, India Sommers. India is hoping to make a new start in a town where no one knows her past. She has a memorable introduction of sorts to her neighbor Rod that makes for an entertaining start to the novel. These two are intrigued by each other. The past year has been one of heartbreak and anguish for India. She’s hoping to get her new home in Whiskey Creek ready for her young daughter so they can both move forward in life. But first she needs to put things from her past right. That leads to some dramatic events that Rod involves himself in, thankfully. Brenda Novak’s story was a page-turner. Even though it had a bit of a tidy wrap-up I enjoyed it and think fans of the Whiskey Creek series will as well. 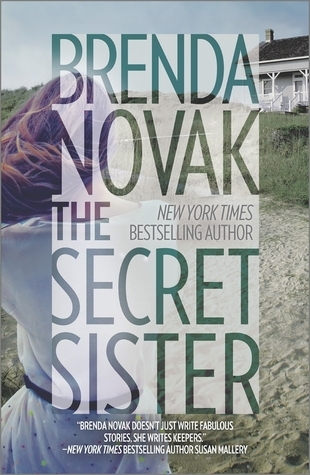 New York Times and USA Today bestselling author Brenda Novak has written over 50 novels. A five-time Rita nominee, she’s won The National Reader’s Choice, The Bookseller’s Best, The Bookbuyer’s Best and many other awards. 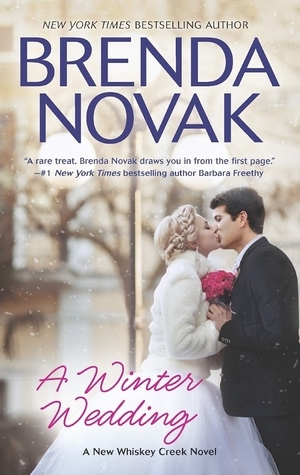 Besides writing, she runs Brenda Novak for the Cure, a charity which hosts an annual fundraiser for diabetes research. To date, she’s raised over $2.5 million for this cause. Brenda considers herself lucky to be a mother of five and married to the love of her life. My take: If you’re a fan of the Whiskey Creek series you know Kyle and his story of bad luck when it comes to love. The fact that both of his past experiences were with polar-opposite sisters (and neither ended well) has left him extremely reluctant to get involved with just anyone. When Kyle meets Lourdes he knows she’s special but circumstances lead him to believe it wouldn’t be a good idea to get involved with her. She comes to the same conclusion about him but still wonders “What if?”. If they decide to go for it do they really have the courage to make difficult choices and see it through? I enjoyed A Winter Wedding. It was fun to see most of the Whiskey Creek gang and find out what they were up to and I liked the setting of the town decorated for Christmas. I suppose this book could stand alone but you’ll get more context where Kyle is concerned if you read the first few books in the series. Recommended to fans of the series and contemporary romance. Synopsis: Did she once have a sister? Has her mother lied all these years? Why? My take: It’s alway fun to get in on the first book in a series when it first publishes. I loved the gothic tone of The Secret Sister. There’s the rich family with the cold, detached matriarch, the mansion on the hill, and the mystery that no one wants to talk about. Youngest daughter Maisey is determined to find out what happened to (what appears to be) her older sister. Her brother Keith has been blamed for her disappearance and that has affected his life to the point that he finds his only relief in drugs. He doesn’t think he can handle having it all dredged up again so he’s not thrilled that Maisey is asking questions. Thank goodness Maisey has Rafe and his young daughter to help keep her sane. They knew each other briefly when they were younger. Now, more than ten years later, life has given them both new perspective and they appreciate their possible second chance. Rafe wants to help Maisey find out what happened to the girl in the photographs. I thought they had great chemistry and I loved the interactions between Maisey and Laney, Rafe’s daughter. I was satisfied (and a little surprised) with how the mystery was solved. If you like a contemporary romance wrapped around a mystery I think you’ll enjoy The Secret Sister. I certainly did and can’t wait to read the next book in the Fairham Island series.